PAYE Modernisation changes the way employers process PAYE information and how they submit this information to Revenue. Under the Irish PAYE system, every employer needs to deduct Income Tax (IT), Pay Related Social Insurance (PRSI), Universal Social Charge (USC) and Local Property Tax (LPT) from an employee's’ gross pay. PAYE Modernisation has introduced significant changes to how and when a business sends and communicates PAYE information to Revenue. Going forward, all employers must calculate and report their employees pay and deductions in real time, every pay period. The PAYE Modernisation legislation modifies the way employers submit their PAYE information to Revenue. For some employers, payroll is still a manual process and using payroll software is perceived as an additional cost and overhead. Where manual processes are used, Revenue recognises that PAYE Modernisation increases the administrative burden on employers. By using payroll software, employers will save time by streamlining their payroll processing and real time reporting. Revenue have now abolished previous employer reporting obligations such as P30s, P45s, P46s, P35s and the generation of P60s. It is no longer be possible for employers to submit their P35 payroll file through to Revenue at the end of the tax year. The final year for the P35 return is 2018 (which needs to be submitted by February 2019). 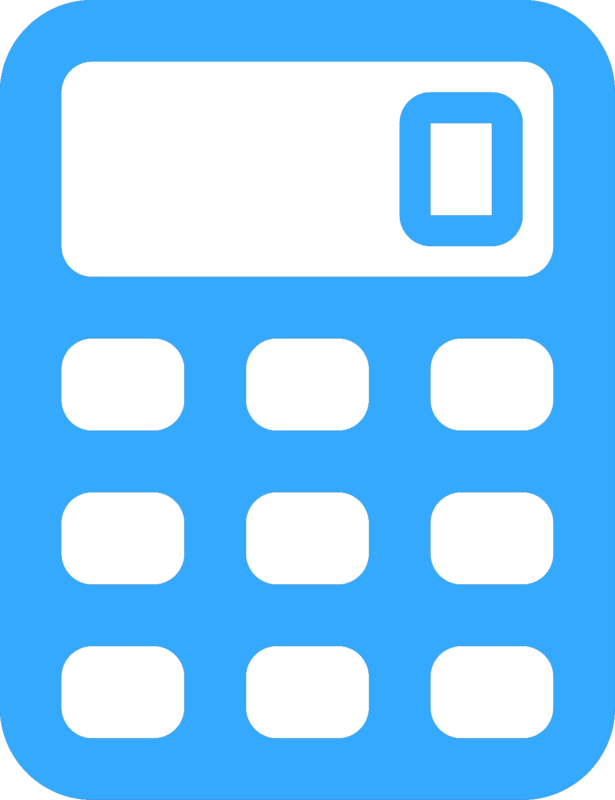 Employers must calculate the correct tax deductions for employees as they are being paid and in real time. Through submissions known as Payroll Submission Requests (PSRs), Revenue will have the most up-to-date information to ensure that each employee is subject to appropriate levels of tax deductions. Employees benefit as they will not overpay or underpay tax. Most employers currently use payroll software to manage their payroll. 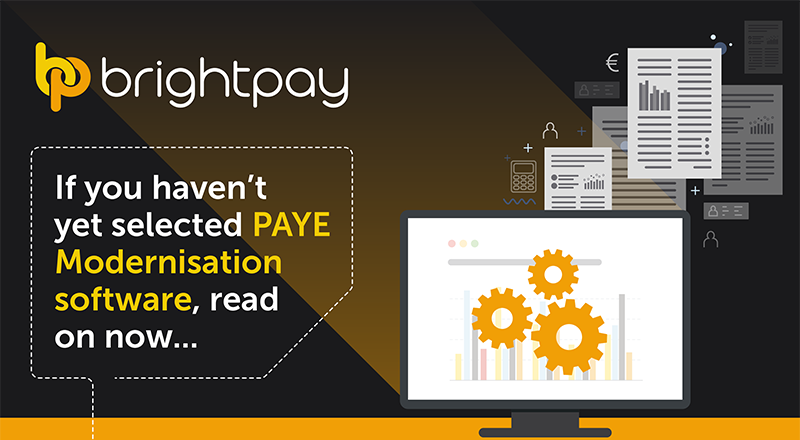 Revenue has worked and is continuing to work with BrightPay to ensure our software caters for the employer payroll reporting requirements of PAYE Modernisation. PAYE Modernisation compliant payroll software ensures that the correct payroll files are produced and seamlessly submitted to Revenue from within the payroll software. The Revenue Commissioners are strongly recommending that businesses and payroll processors review their current payroll systems to ensure they can cater for the requirements of PAYE Modernisation. Be aware that manually processing payroll with PAYE Modernisation requires additional time and could increase the possibility of human error. Miscalculating the payroll reports for Revenue will result in non-compliance and potentially lead to penalties. Read: PAYE Modernisation checklist to ensure 100% compliance. PAYE Modernisation means that Revenue’s PAYE information held on a business and their employees will be accurate and up-to-date at all times. The overall process of streamlining employer reporting with the regular payroll run will bring increased efficiencies for employers. The real time submissions will make the PAYE system more efficient and ultimately reduce the administrative burden for all businesses. One of the main objectives of PAYE Modernisation is to ensure that employees pay the correct amount of tax for the tax year. Employers are required to check for changes to their employees’ tax credits and cut off points every pay period. Payroll software enables employers to retrieve this information from Revenue at the click of a button, making it a seamless process. For employees, their tax records will be accurate meaning less under or over payment of tax. Ultimately, this will enable employees to maximise the use of their entitlements each year. 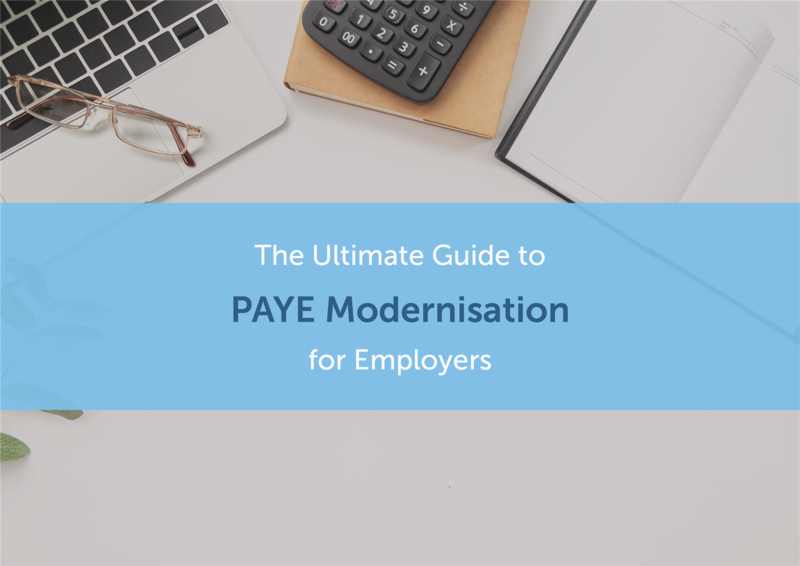 One of the key objectives of PAYE Modernisation is to have an employer reporting process that is seamlessly aligned with the payroll process. To achieve this, it is important that payroll software can integrate with Revenue’s systems. Every business should conduct a full review of their payroll processes and systems. If you use payroll software, check with your provider to make sure the software can cater for the requirements of PAYE Modernisation. 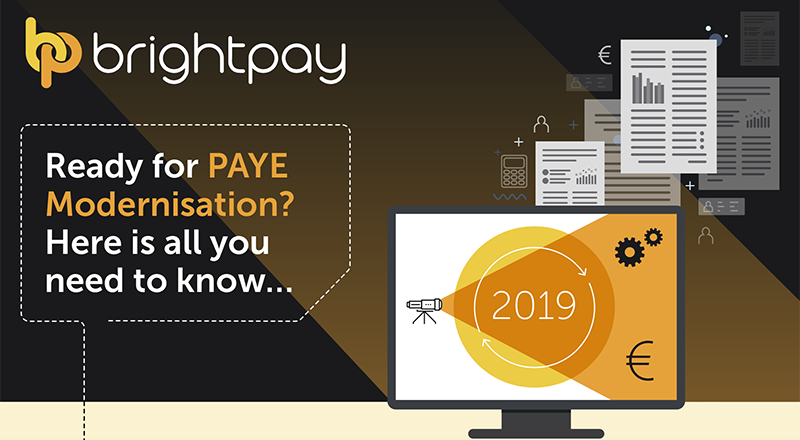 Book a demo of PAYE Modernisation with BrightPay. If you are processing payroll manually, there is no facility to directly submit your PAYE information to Revenue. Instead, these employers need to manually create the payroll file and then login to their ROS account to upload the payroll information every pay period. Revenue have developed an API (Application Programme Interface) which allows payroll software to fully integrate with Revenue’s reporting system. The API allows both the payroll software and Revenue to communicate or ‘talk’ to each other. The payroll integration enables users to seamlessly submit Payroll Submission Requests (PSRs) directly to Revenue in seconds. The integration also allows users to retrieve RPNs from Revenue from within the payroll software. Integrated payroll software makes PAYE Modernisation much more user-friendly for employers compared to the outdated, more manual processes of the past. By using PAYE Modernisation compliant software, employers can save time and avoid any potential penalties. The API integration will lead to a streamlined process and ultimately a reduction in the administrative burden. BrightPay Software has been helping businesses with their payroll needs for almost 30 years. Our payroll products help over 120,000 businesses across Ireland and the UK process their payroll. We have worked and will continue to work with Revenue to ensure our payroll software is PAYE Modernisation compliant. BrightPay won Payroll Software of the Year 2018 at the Accounting Excellence awards. Our payroll software seamlessly automates the creation and submission of the reports required by Revenue. The files (known as Payroll Submission Requests) can be submitted to Revenue using our direct integration tool, reducing the time it takes to comply with PAYE Modernisation. Our direct integration with Revenue has been specifically designed to take the headache out of PAYE Modernisation. We are experienced, as we have already developed this real time technology and API integration for our UK payroll software. The UK introduced similar real time reporting requirements in 2013. Our previous experience allowed us to easily develop payroll integration features that seamlessly align with Revenue’s new reporting requirements. If you are using a manual system, there is no facility to directly and electronically submit PAYE reports through to Revenue. Where payments are made outside the payroll software, employers now need to manually create the payroll file each payroll run. They are then required to login to their ROS account to upload the information. For these PAYE Modernisation time sensitive tasks, the speed of automated data submission to Revenue offers significant cost savings. 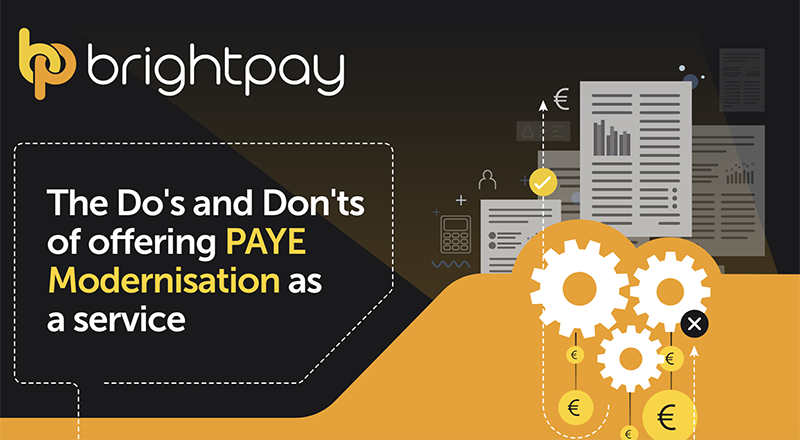 In this free guide, we discuss how PAYE Modernisation will affect your business and your real time reporting obligations to Revenue. Click here to find out why PAYE Modernisation was introduced and how you can comply with your new duties.